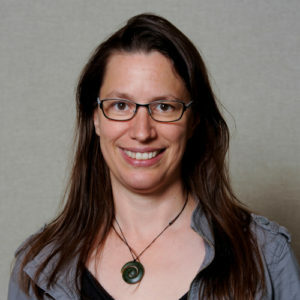 Professor Daniels received her PhD from Cornell University and was a postdoctoral research associate at Duke University. She joined the faculty of North Carolina State University in 2005. She was a 2007 recipient of an NSF Faculty Early Career Development Program (CAREER) Award, and a 2011 recipient of an Alexander von Humboldt Fellowship which provided support for a sabbatical leave to the Max Planck Institute for Dynamics and Self-Organization in Göttingen, Germany. Her main research interests center around experiments on the nonequilibrium and nonlinear dynamics of granular materials, fluids, and gels. These experiments have allowed her lab to address questions of how failure occurs, how non-trivial patterns arise, and what controls the transitions between different classes of behaviors. Several of these studies have used idealized systems to provide insight into biological and geological phenomena.